Quick underarm shave and a bikini line pluck in summer, is finally waking up to a new reality in Chadstone Melbourne laser clinic. Latest laser hair removal methods made possible to reduce unwanted body hair, quickly and easily, with proven long-term results. The Laser, Skin and Wellness Clinic at Melbourne Chadstone together with Shines & Shimmers uses the latest European state-of-the-art equipment (SPL, VPL) and offer fast, comfortable, effective treatments while keeping your budget in mind. Our specialists start with examining your hair suitability for laser hair removal or IPL hair removal and determine the effectiveness of each procedure. There are a few variables to take into account. Most hair types, including lighter shades, usually contain pigment and therefore can be treated by IPL. 99% of our clients thrilled with the results *. We take an individual approach to each client to achieve the best possible outcome. Hair Colour and Density: The darker the hair - the better the result. The thicker the hair – the quicker the results. Lighter hair is difficult to treat but still is possible. This is mainly due to the fact light hair usually contains pheo-melanin, which absorbs light energy less readily than the eu-melanin pigment which is present in black or brown hair. White hairs do not contain any melanin so the best form of treatment for grey hair is still electrolysis. Good electrologists are hard to find, drop us a line if you need a referral. Skin Colour: Light skin makes IPL hair removal easier to perform. Fewer treatments are required, and better, faster results are obtained. People with darker skin can be treated, but results are slower and more sessions may be recorded. In other words the better the contrast between the hair and the skin – the better and quicker the outcome. Treatment Plan: Although one treatment session can produce a noticeable long-term result, as a rule multiple treatment sessions are necessary to obtain optimal effects. The general recommendation is between 5 to 10 treatments. Breaks between treatments should be from 3 to 8 weeks depending on area treated, hair removal methods previously used, and quality of your hair. The frequency of treatments gradually decreases. Hair Growth Cycle: The main reason multiple sessions are necessary is that hair growth cycles vary and not all hairs grow at the same time. Therefore only hairs in the active growing, anagen, stage are treated effectively. There is also more melanin present in the hair follicle at this stage therefore light absorption is greater. 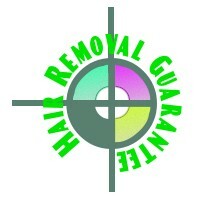 Over the course of treatments amount of hair will be reduced in the active anagen growth stage.